Since today, we did not have any precise market arrival date of the new Nokia phones. We know that they will probably be presented at the next MWC (2017) in Barcelona, since HMD Global leased some exhibition space there.It is logical to assume that in the next few months, or in the first half of the year, the new devices will be distributed across the world to stores around you. 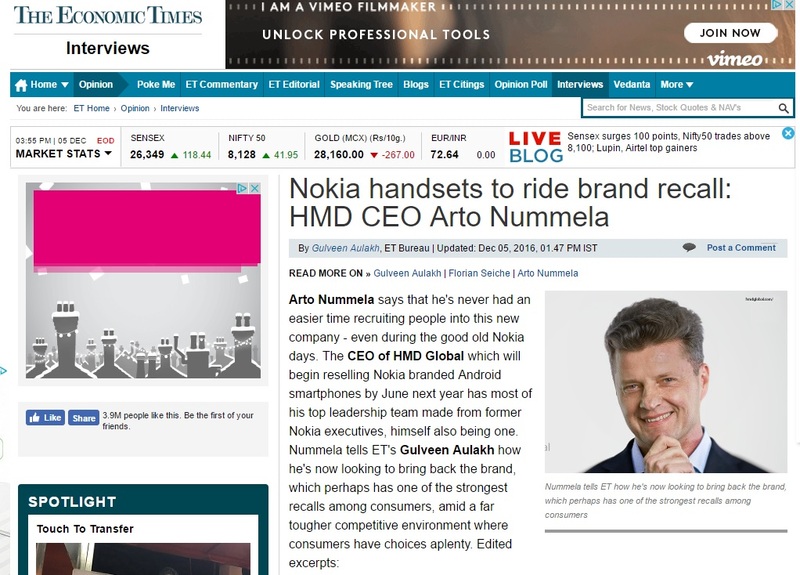 In an interview for The Economic Times, HMD CEO Arto Nummela has been talking about new phones, and how will HMD deliver them to the world. But also for the first time we hear that by June 2017. we should see the beginning of the smartphone sales. Devices should be available globally, but the distribution network is still not shared like the prices, but there will be wide range of price points. Now you know that this summer you can also spend your holidays with the new Nokia smartphone :).